ELF NEW studio makeup remover pen | review & demo ! ever since I got it. and it's definitely a product worth raving about. Check out my demo video below, and watch the funniest expression you'll ever see me make! 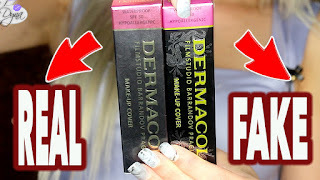 and she demo-ed the product in a haul video. If I recall correctly, she tried it with eyeshadow. I realised what a great eyeliner corrector it could be. Sometimes I have a bad eyeliner day and I just need to start over and fix it. This is where this product comes handy. because if not, you'll have a lovely mess. You will need to apply any product that you've applied around the area. For example - in the case of correcting your liner, you will need to reapply your eyeshadow. Other than eyeliner, I also like to use this for perfecting a bold lipstick. In this case, you will have to reapply your foundation around your lip area. It's definitely a must have in your collection. I already have a backup and will gladly continue to repurchase. Ahh I'm so glad I've found your blog again dyna! been looking for a few days I used to follow you under 'Jazzreallyloves' LOL! Great review glad i've found your awesome blog! I promise you, it is! This is new to me,. Ever since I read blogs I keep on learning and buying stuff! LOL. This is a great post. Thanks for sharing! I subscribed! Take time to visit my page! That is so great! Thanks for the review, I use liquid eyeliner and some days turn out better than others.